I'm already a member—Can I get in on this? You’ve hit the jackpot of marketing education by arriving on this page today. For the next few hours, you can score a virtual MBA with our Best of Converted Black Friday offer. 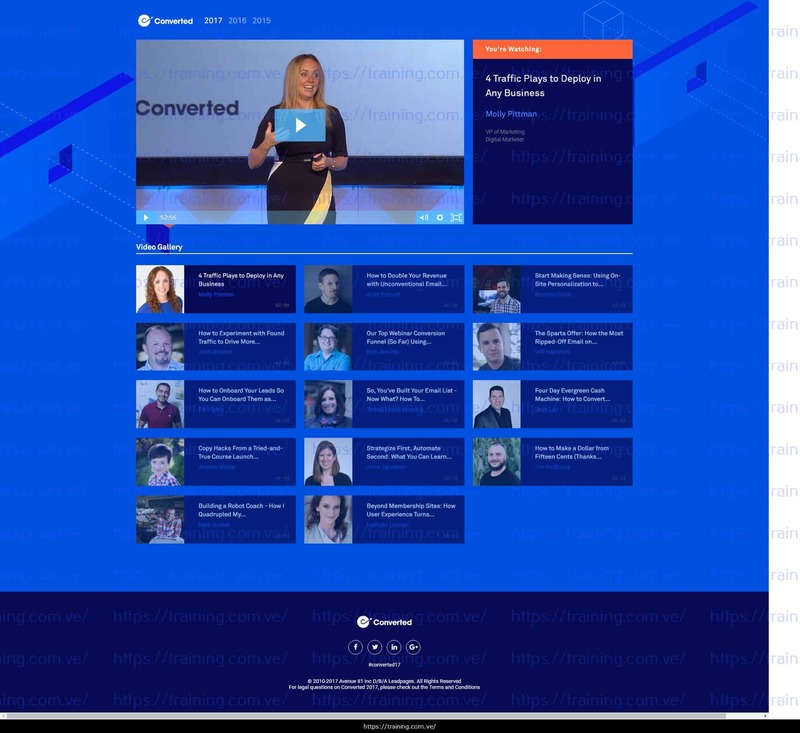 Simply purchase (or upgrade to) a Leadpages annual or 2-year account before the timer hits 0, and you’ll get 25 business-boosting training sessions from our 3 years of Converted Conferences. Over the last 3 years, we’ve brought the best marketing teachers to our Converted conference to teach audience members from around the world. Luminaries like Mari Smith, Joanna Wiebe, Pat Flynn, Ezra Firestone, Ryan Deiss, and Andrew Warner have been joined by under-the-radar experts like Brennan Dunn, Will Hamilton, Josh Braaten, Molly Pittman, Andy Fossett, and Samuel Hulick to enlighten, inform, and inspire small business owners and marketing teams with their “what’s-working-now” content. Before today, the only way you could watch these sessions was to be there live. And the only way to keep these trainings to watch whenever you want was to buy a VIP ticket to Converted (which was $850 for just the 2017 ticket and videos). 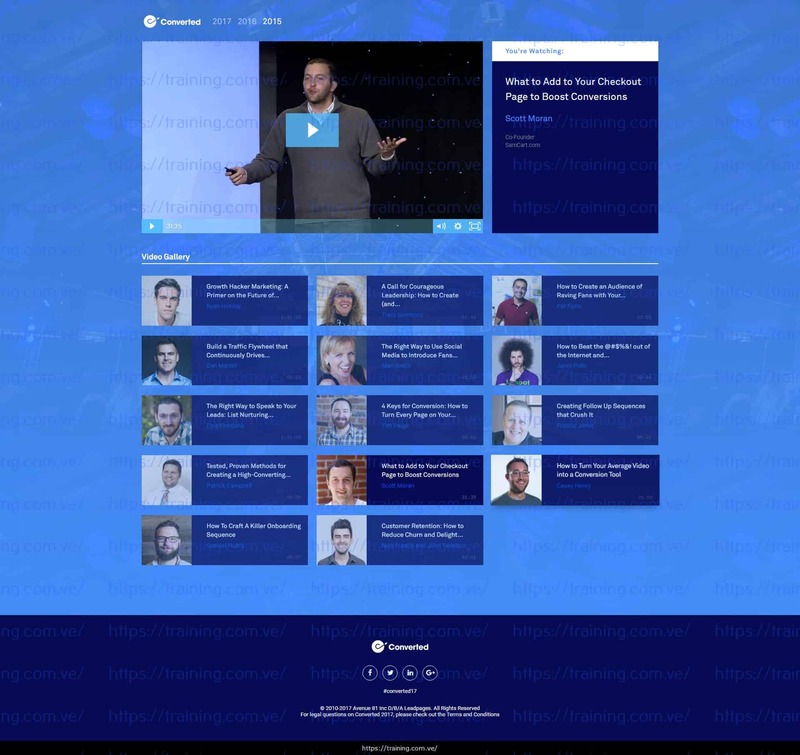 When you start a Leadpages membership (at any Annual or Two-Year level), you get the Best of Converted to watch these content and strategy-rich presentations. These marketing masters will teach you their best strategies for driving traffic, building email lists, converting subscribers into customers, and transforming those customers into raving fans and brand ambassadors. Plus, these HD-quality video presentation will make you feel like you were in the Converted audience. Also, we’re going to enhance your library with the MP3s and transcripts of all 25 sessions so you can listen on the go and peruse the content in print format. All told, the real-world value of this Black Friday offer (the conference session recordings, MP3s, transcripts, etc.) is well over $1500. And it’s all yours free with your purchase of an annual (or 2-year) Leadpages membership. Already a member? Simply login and upgrade to an annual or two-year plan above your current membership (we'll pro-rate your upgrade based on your remaining balance). Already a Two-Year member? Great news! You get this deal automatically. Check your inbox for your activation link. What's Inside the Best of Converted? No matter what you add or change, all your landing pages stay 100% mobile-responsive—guaranteed. It's never been easier to promote your landing pages with Facebook. With the Integrated Facebook Ads Builder, exclusively inside Leapages, you'll be able to create and publish your traffic-driving Facebook ad in under 2 minutes—without touching the Pixel code or getting lost in Ads Manager. Weekly group coaching calls: Get on the phone with Leadpages marketers every week to ask your toughest marketing questions. Easy integration with your favorite email provider, like Drip, Mailchimp, Active Campaign, ConvertKit, AWeber, Infusionsoft, and more. Go Pro and get our best features: Split testing, chat support, and Checkouts (with Stripe) to sell your products. Top support team: You'll have our technical support specialists to answer your questions, simply, concisely, and with great care for your business. Access to our affiliate program: Get 30% recurring commissions for any new Leadpages member you send our way. 30-54% Savings compared to the monthly plan: Get over 3 months free with the annual membership; 11 months free with a 2-year membership. Lock in your great rate: Leadpages never raises prices on existing members. Start your account now and lock in the price for as long as you wish to remain a member, even if our prices are twice as high this time next year. Which Leadpages membership do I need to purchase to get in on this? 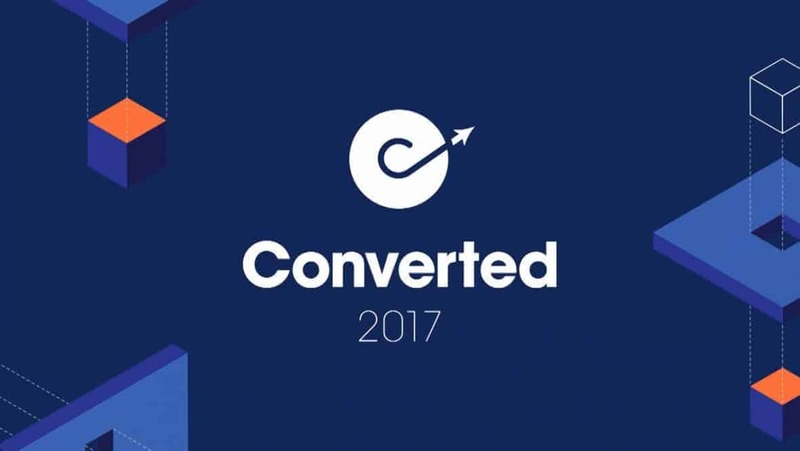 To get the Best of Converted for free, you must start a trial of an Annual Leadpages membership by the end of Saturday (at midnight Eastern). The countdown timer here shows you how much time is remaining. Enjoy the videos during your 14-day trial. Then keep your account active and you keep all the videos, plus receive all the audio MP3s and transcripts for the presentations. I'm already a Leadpages member. Can I get in on this Black Friday offer? •If you're currently a Leadpages Monthly member, upgrade to any Annual or Two-Year membership. •If you are an Annual member, upgrade to the next highest Annual level or to a Two-Year Leadpages membership. •In either case, we'll pro-rate the balance of your account towards your new purchase. •Simply visit the upgrade page within your account and choose your upgrade level. Already a 2-year member? Then you already pre-qualify for this offer—no upgrade required. You should have received an email from us letting you know how you can access the Black Friday package as our gift to you for being a long-term member. Contact support if you did not. I'm in! When will I get access to all the videos? Fantastic! You'll receive instant access to all 25 videos after your 14-day trial has been confirmed. Keep the videos as long as you keep your membership. After your purchase, look for our email that unlocks your access to the Best of Converted package. I like to learn by listening and reading. Do you have transcripts an audio? Yes! With your paid membership to Leadpages, you'll receive the audios (MP3s) and transcripts (PDFs) of the presentations. While you are still in a free trial, the audio and transcripts are not available. What if I cancel my trial to Leadpages—can I keep the Best of Converted? No. You can enjoy the videos during your trial. After 14-days your account will convert to a paid account automatically, and you'll keep all the videos, plus receive the audios (MP3s) and transcripts (PDFs). If you cancel your new account during the trial, your access to the Best of Converted and all the features of Leadpages will disappear. I really want to get in on this. 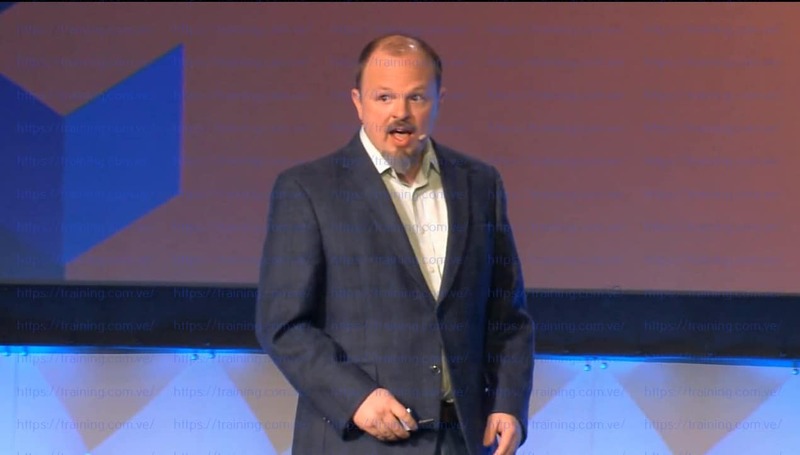 But first, does Leadpages have a guarantee? Absolutely! 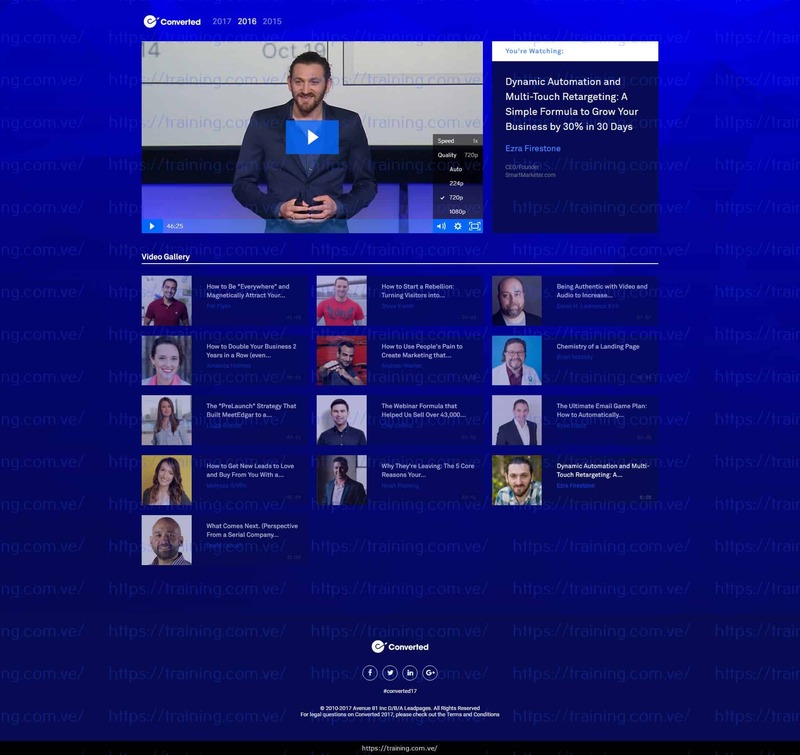 Try Leadpages free for 14 days. If you're not 100% satisified with your membership, let us know during the trial period that you do not wish to activate your paid membership. You can also cancel your membership at any time in the future and you will not be billed again. When do I have to order by to get this deal? This Black Friday offer ends Saturday night at Midnight Eastern (12:00 AM Sunday). This offer will disappear at that point. Due to the nature of the Black Friday offer, you may not place a hold on this offer, or expect to gain access if you delay the start (or upgrade) of your membership until after that point. Reminder: This offer ends at Saturday night at midnight (Eastern).